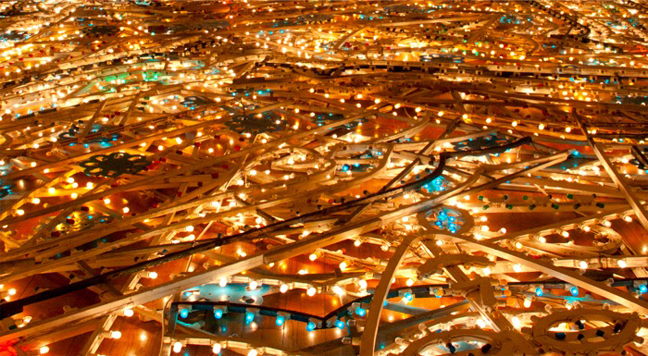 Massimo Bartolini (born 1962, Cecina, Italy) makes immersive, experiential, spatial work. Rather than put work in a space, he tends to make work out of the space itself, modifying it, sometimes subtly, sometimes with maximum impact, to produce sculpture which is activated (sometimes literally, always conceptually) as the viewer occupies it. La strada di sotto is a glowing field of colored lights of the kind used during street celebrations in Sicily. 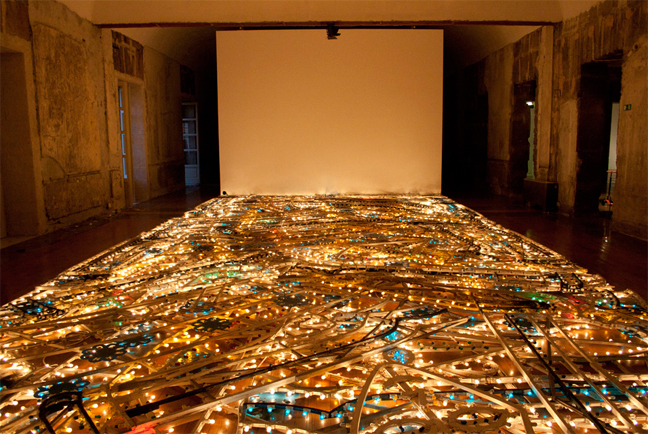 Bartolini‘s work embraces various materials and techniques, from sculpture and performance to photography. 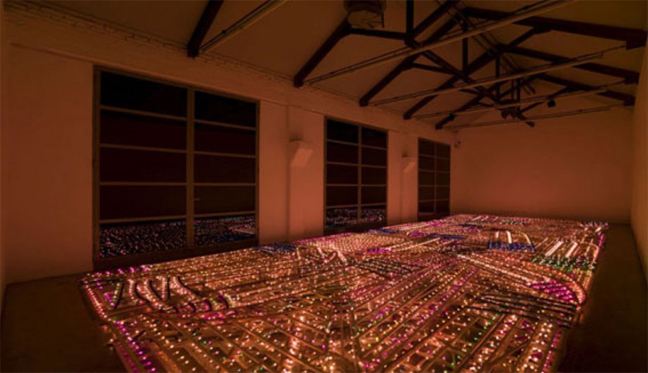 His works have included an elevated floor that created the impression of distorted space; an installation in which a device on the heel of a visitor’s shoes altered the light in the exhibition space; and rooms suffused with perfume and the sound of leaking water. These, often sensual, artworks induce in the viewer a meditative state that is still highly experiential, making us reflect on the relativity of what is stable and unchangeable.